Bertrand Russell is widely regarded as one of the greatest philosophers of the twentieth century and a brilliant writer and commentator on social and political affairs. 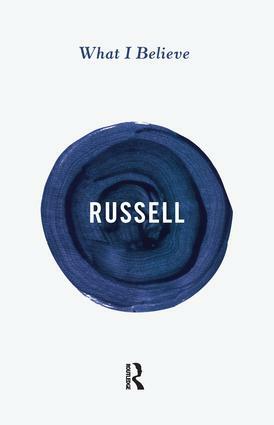 What I Believe offers a lucid and concise insight into Russell’s thinking on issues that preoccupied him throughout his life: atheism, religious morality and the impact of science on society. With the addition of two further essays, 'Why I Took to Philosophy' and 'How I Write', this is a superb example of Russell as his very best.